Do you like beets? I’m actually not a big fan of them cooked as a side dish with lunch or dinner, but I absolutely love them when they are juiced or blended into a smoothie. They have a very strong taste but I think they really give a smoothie or juice something great when they are incorporated with other fruits of veggies. My absolute favorite is beets and apples! The apples create such a perfect sweetness! And besides, beets are said to boost stamina for workouts, fight inflammation, lower blood pressure, contain lots of fiber and helps support detox!! 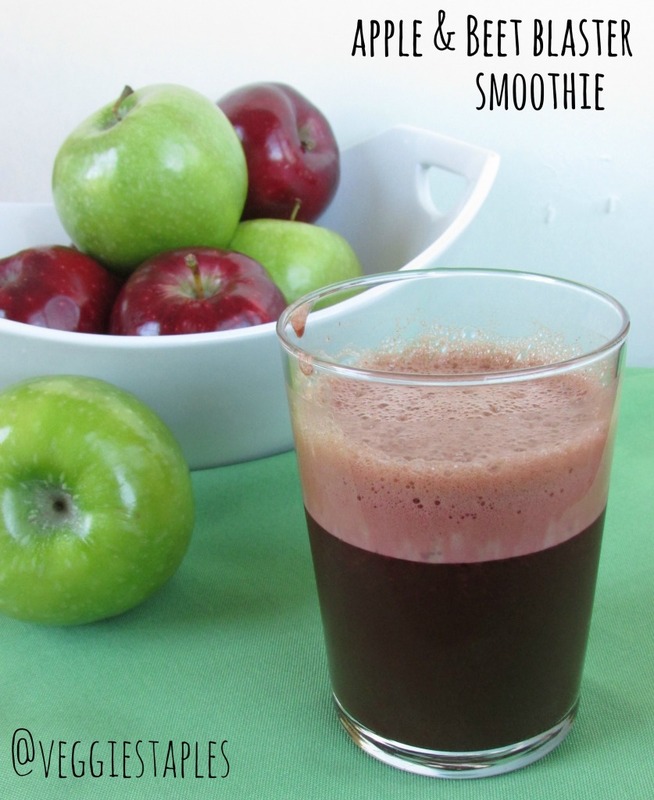 This apple and beet smoothie will make you feel good and tastes good to boot! Enjoy!